A bill of sale form is the document that is signed during a sale of goods or items between two parties. It is signed by both the buyer and seller, and is often used when an used or "second-hand" item is being sold. One of the most common uses of a Bill Of Sale Form is when you’re selling a used car or other vehicle to someone. In such a case, a Vehicular Bill Of Sale Form is signed by both parties. That the item is now the property of the buyer and seller is no longer responsible for it. 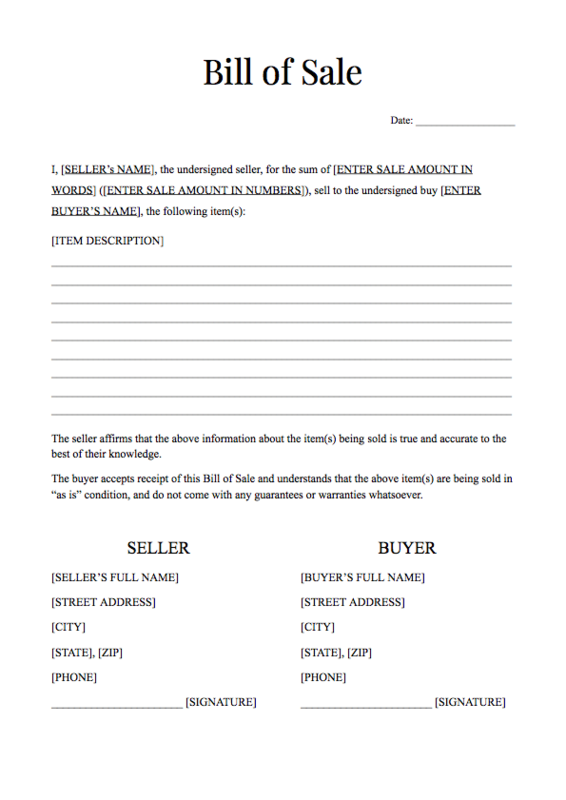 The bill of sale template shown below is a generic template that can be used for various purposes. 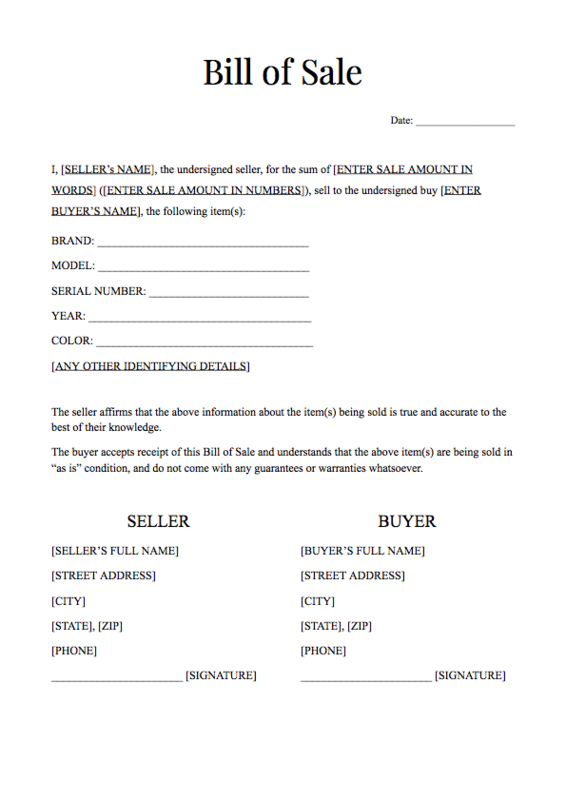 You should customize the bill of sale form below if you're selling a vehicle. Information and description of the item being sold. You can edit the PDF using PDF Expert, the best PDF Editor app for Mac. Using PDF Expert, you can add your own details and use this bill of sale form design for your own needs.